The Japanese city of Fukuoka may not get many Western tourists, but if you go there and you like new gastronomical experiences, you should go to Yorozu. You need to book in advance, you need to speak Japanese, or go with someone who speaks the language, it’s essential, and you need a couple of hours free. 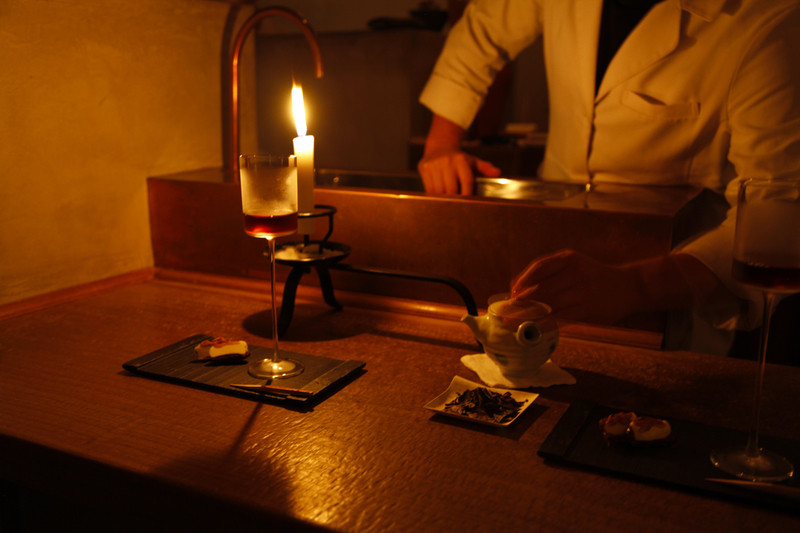 Then, let yourself be guided, and Suguru Tokubuchi will introduce you to pairings of food with tea and various alcohols, dishes prepared in front of you in an intimate setting, which makes every sip even more precious, every mouthful chosen to accompany one of the cocktails. It’s a unique experience.